Whether it is a homework assignment, a toy related problem, a sibling argument, or friend trouble; children all ages face problems. Something as simple as not having his favorite color playdough can become a challenge for your little one. Since it’s impossible for you to always solve your child’s troubles, he needs to learn how to do it himself; luckily, he has the best teacher! As you begin teaching your child how to solve problems on his own, think that you have four roles: observer, supporter, facilitator, and model. Observe his way of playing and approaching a challenge before intervening. Provide verbal support and validation. Facilitate specific actions encouraging him to think of different solutions. Model by example how you approach problems as well. Over time you’ll see that your child’s confidence and independence grow. You’ll see he manages his emotions, thinks creatively, demonstrates cognitive flexibility towards a situation, and expands his mindset. It all starts with a thought and a thought can always be changed. It’s not the person or situation that makes us feel a certain way, but rather our way of thinking behind it. Children often use extreme language as they first encounter a problem. “No one wants to play with me” might be your child’s response when a friend doesn’t want to play with him. Try to teach him a more balanced way of viewing the problem by referring to the situation in a gentler and more realistic language. “I know you are upset, but lots of people want to play with you: mom, dad, grandma”. It’s important to validate him, let him process his emotions, and teach him coping mechanisms because, even though your son might be using dramatic language, some part of him feels that way. “I understand you are upset. I know it’s hard and that’s okay. You are working hard on this, aren’t you? Show me the part you are having trouble with”. Help him come up with an accurate statement to identify the problem. “Your friend David doesn’t want to play catch with you right now”. Help him come up with actions he can do to find alternative outcomes to the situation. 1) How about you ask David what he wants to play with? Can you play that first and then catch? 2) How about you go ask your friend Mark if he wants to play? 3) How about we introduce ourselves to those kids over there and see if they want to play? 4) How about you and I play catch? Come up with different alternatives to approach the problem, pick one, and test it out. It’s not the outcome that’s important, but the way you are teaching your little one to address a problem or challenge. 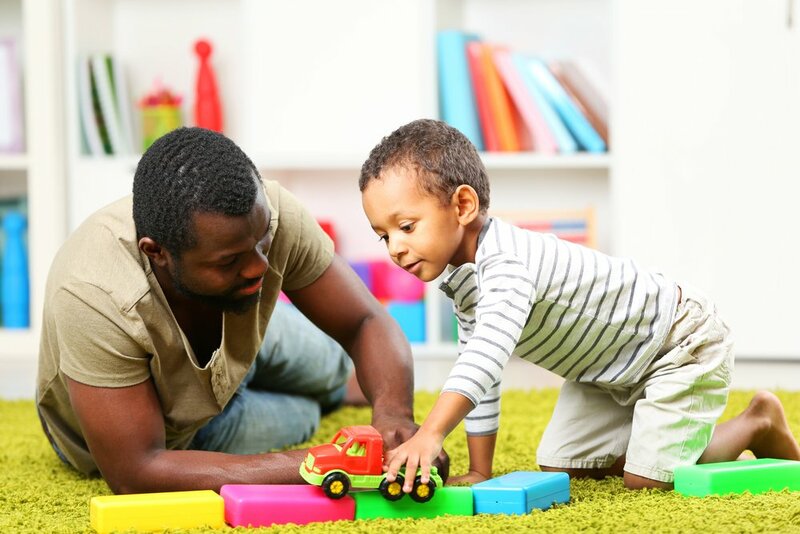 Using realistic language, coming up with specific actions, and testing them will provide your kid with a feeling of confidence and competence, expand his way of thinking, and change the course of his thoughts. This will foster skills like judgement, planning, anticipation, and, ultimately, mental flexibility when approaching a problem. It’s important to provide opportunities for your child to practice solving problems. Try to come up with simple scenarios at home where a challenge may arise. Depending on your child’s developmental level, make sure a solution is available for him to find. With practice and little by little you’ll teach your child how to solve problems on his own.